Tunisia's ministry of culture has banned the Oscar-nominated film "Call Me By Your Name", a love story between two men, one of its main distributors said on Wednesday. The feature film was due to be screened on Wednesday night in the capital Tunis but the venue announced on Facebook that the event had been "cancelled". It was "banned," the distributor Lassaad Goubantini told AFP, denouncing the decision as "an attack on liberties" motivated by "the subject of the film". 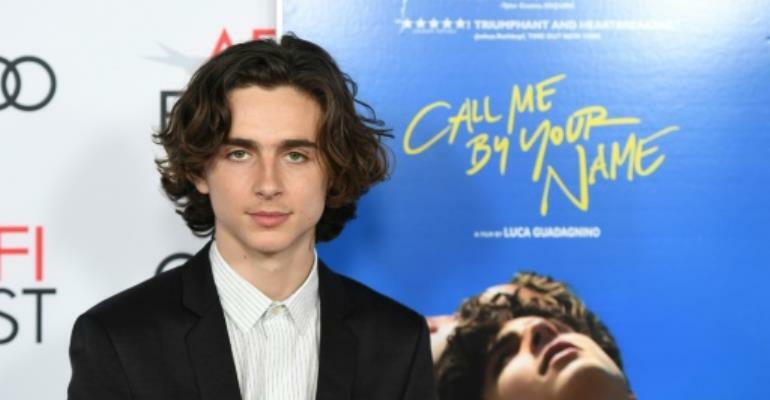 A story of love between a 17-year-old and an older man, "Call Me By Your Name" has been nominated for best picture at the 90th Academy Awards to be handed out on Sunday. AFP was unable to reach the culture ministry to confirm the reported ban on Wednesday. "We filed an application for authorisation with the ministry of culture," said Goubantini. "We even proposed a viewing in exceptional circumstances before the screening to know if it would go ahead or not, (but) we were refused a permit." Such a ban "is contrary to the Tunisian constitution", added the distributor. Long taboo in Tunisia, homosexuality is finally emerging from the shadows in the conservative Muslim nation. But homosexuality is still a crime that can result in lengthy prison sentences. Last year the North African country banned "Wonder Woman", whose main actor is an Israeli, following a complaint from the nationalist Al-Chaab party.